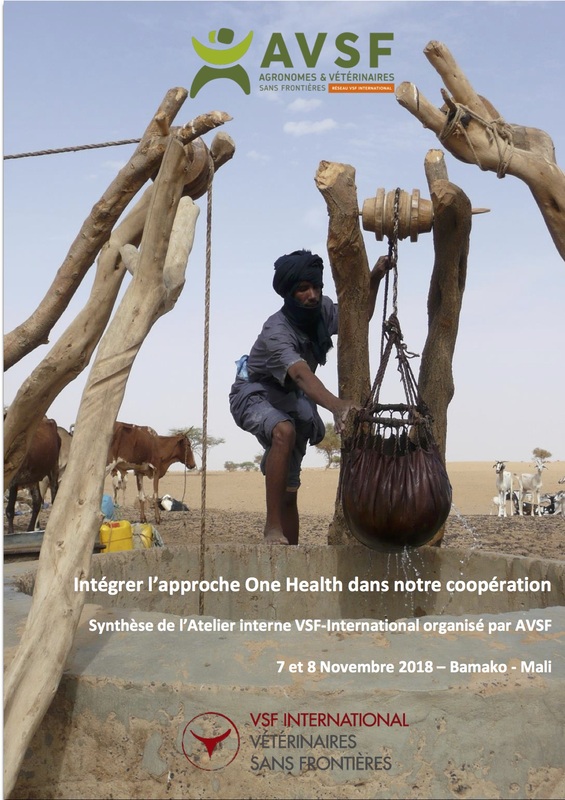 Summary of an internal workshop organised by VSF-International and AVSF in Bamako, Mali, on 7th and 8th November 2018. 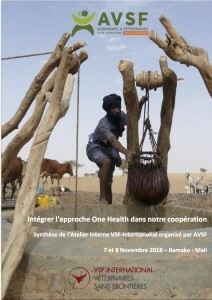 Following several exchanges within the VSF-International network (VSF-Int) on the One Health approach (including a position paper in 2014) and just before the creation of a dedicated working group of VSF-Int on One Health, AVSF organized an internal workshop for the members of VSF International on the theme “For an increased consideration of the One Health approach” on November 7th and 8th 2018, in Mal. The main objective of this workshop was to identify the main priorities for the implementation of One Health principles in our field work, based on various experiences in each country of action. The outcomes of the workshop have been summarized in this report.